It has been eight months since the first sail after the refinish project concluded and this is what the boat looks like today. A week of rains have washed it nicely, with no leaks inside. The Brightside polyurethane paint retains its gloss, but a coat of polish will add to the luster when I have time. I continue to receive compliments from passers-by. Let me explain a few details. The windows are original and they are glass, not plastic. The aluminum frames are in good shape. 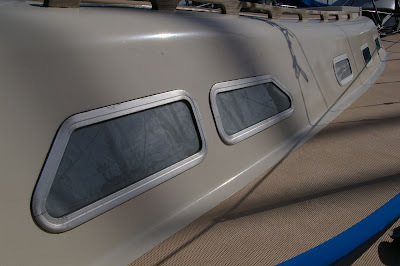 An interior frame, which is screwed into an inside lip of the exterior frame, secures the windows to the cabin. They are sealed with a ribbon of butyl caulk that comes pre-formed and rolled into a coil with a layer of paper preventing the caulk from sticking to itself. Removal and reinstallation was relatively easy. None of the port lights open. 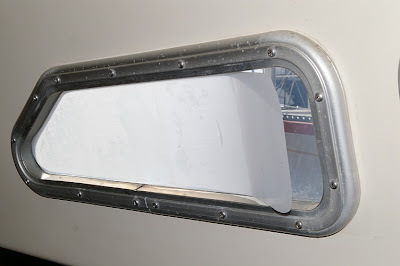 When I bought the boat, the window in the head compartment had a sliding glass pane, which leaked. 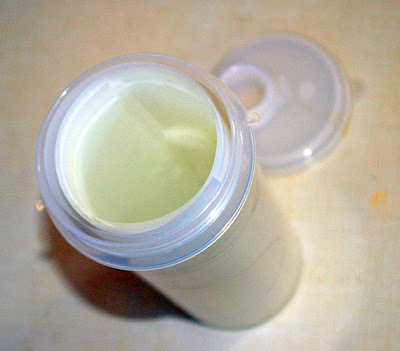 For a long time I sealed it shut with silicone sealant. But eventually I went to a Kelly's used marine supply store in San Pedro and bought a single pane replacement unit in good condition for $15. Problem solved. Also notice the aluminum angle pieces fastened to the front corners of the forward hatch at the top of the photo. Before I did that, the genoa sheets frequently caught beneath a corner when tacking. In the upper photos, you'll notice that the three main cabin windows appear to be frosted. That is my ultra-simple privacy curtain system. It is merely translucent window film that I bought at the hardware store. I cut it to fit and secure it by wiping the glass with soapy water and pressing the glossy side of the film against the glass. They come off in an instant when I'm going out for a sail, by hooking a fingernail under the film and peeling it off. I stack the six films atop each other and roll them up and slip them into a wide-mouth cylindrical plastic container. 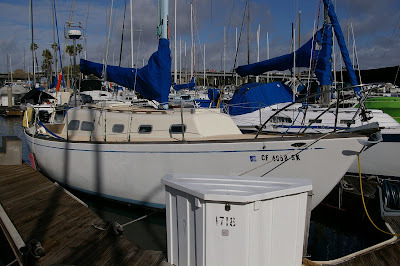 After I refinished the deck, it was time to replace the original mainsheet traveler, which was awkward to use. 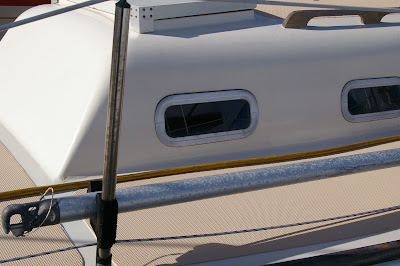 It was simply a strip of stainless steel track fastened down over a narrower strip of teak batten. A bronze car, with no bearings, slid along the track. There was a stop clamp with knurled screw on each side of the track to position the car by sliding the car and the clamps to the desired position and screwing down the clamps. I removed that contraption and filled all the mounting holes for the refinish. I replaced it with a custom-made low-profile traveler from Garhauer. The car slides on ball bearings and three-to-one lines control the position from each end. It is a perfect solution. The low-profile track extrusion was bent at the factory to conform to the after-deck radius and is thru-bolted with counter-sunk machine screws. I was determined to replace the old track with a modern system that would still allow me to sit atop the lazarette, leaning against the pushpit rail, which is my favorite command position when motoring. I use a folding "Go-Anywhere-Chair" from West Marine to sit on, pull the tiller back until it faces backward and rests on the aft cockpit wood trim. All I have to do is remember the move it opposite the normal direction to steer. Believe me, it's the most comfortable spot on deck, and the best visibility, too. I don't like having to scrounge for help when I'm working on my boat. So I usually don't. When I was removing deck hardware I was able to work alone by using ViceGrip pliers as my below-deck helper. I could clamp them onto a nut and remove the machine screw topside by myself. Usually the nut was loose enough to finish taking off by hand if I stopped unscrewing in time. But if not, it didn't matter if the nut fell off with the ViceGrips clamped to it. That wasn't going to work for reinstalling hardware, however. 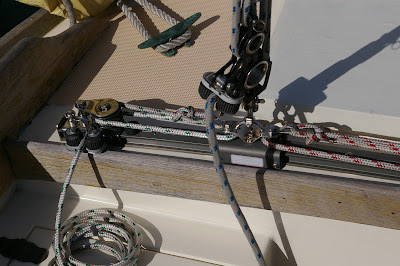 Also, I wasn't too impressed with the small diameter washers that provided the only bearing surface under the deck for the stanchion, bow and stern railings and mooring cleats. I decided to make threaded mounting plates for each item and glue them in place under the decks with 3M 5200 adhesive. The plates were cut from 1/4-inch aluminum plate, 3-1/2-inches wide. Aligning the plate holes with the fitting holes was critical, as was tapping the holes absolutely vertical for the 1/4-20 machine screws. Using a drill press, I started by drilling one hole in the plate, using the fitting as the template. 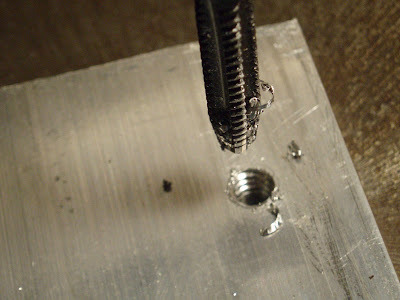 Then, using the drill press mandrel to assure the threads were vertical, I threaded the hole with a tap manually, turning the mandrel by hand rather than using the motor. Next, using short screws cut to length for the purpose, I fastened the fitting to the plate and then drilled and tapped the next hole. I repeated that process until all the holes were drilled and tapped. 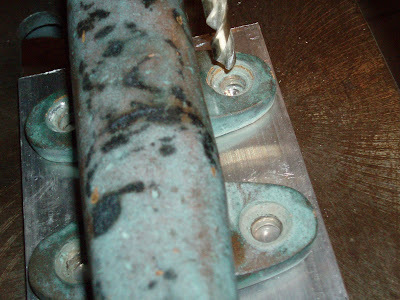 Installing the fittings and the underdeck plates was made much easier by using a couple of extra-long machine screws, plus the normal length screws required to be able to reinstall the side boards that cover the under decks inside the cabin. I put two long screws through the fitting on deck and then went below deck. The long length of the screws allowed me to hold the backing plate under the deck and turn the scews with my fingers to get them started into the tapped holes. Next I used a small mixing stick to apply 3M 5200 adhesive to the top edges of the plate before I screwed it up against the deck. Going topside, I took up the slack on the long screws to bring the plates up against the underside of the deck. Then the normal length screws could be inserted in the remaining holes. 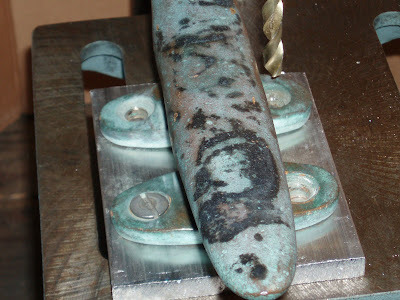 The mooring cleats had four mounting screws, while the railings and stanchions had three holes. Finally, I removed the long screws and replaced them with standard-length screws and then drew all of the screws up tight on that fitting. The same process was repeated for each fitting. This process could have been done using LifeCaulk or a similar product to seal the fitting from leaks. But it would have been messier. Instead, I cut sealing gaskets from 1/8-inch hard rubber sheet, available at the hardware store. I used a gasket cutter hole punch to make the screw holes. Finally, when I put each standard screw into the backing plate, I put a ring of sealant around the threads just below the head to seal the hole from the top. I think that the rubber gaskets will ensure a leak-proof seal for years to come. But when and if I have to remove and replace any of the fittings, I expect to be able to do so working alone and only from topside.